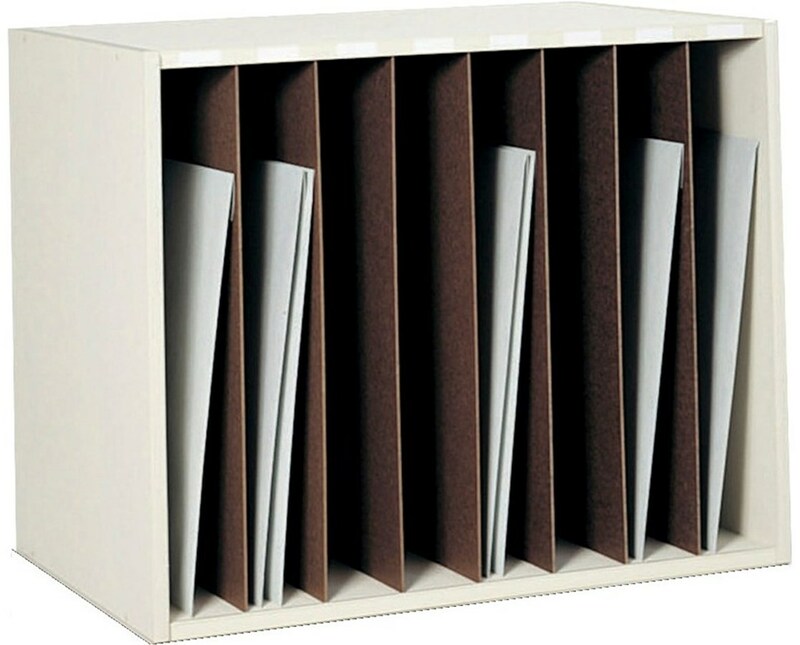 The Safco Art Rack is a solid wood core vertical storage for stiff materials such as heavy paper or mat board for an organized office space. It has eight convenient compartments that measure 4.25 inches long, 23.5 inches wide, and 27 inches tall. 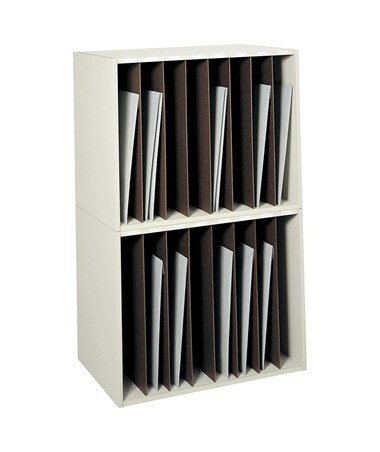 This file rack is tough enough to accommodate up to 120 pounds of weight. 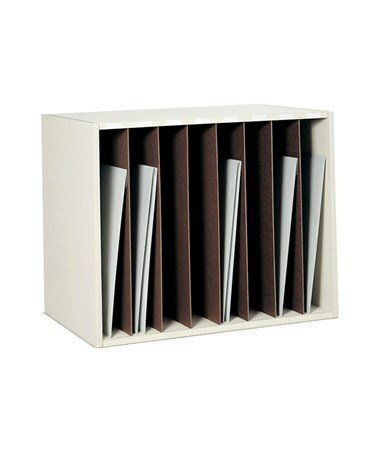 At the top and bottom of these compartments are label holders for easy sorting of documents and labels are also included. This literature rack can be used side-by-side or stand alone and can also be stacked up to two units high. It is made of particleboard with hardboard dividers and is easy to assemble with little effort needed.